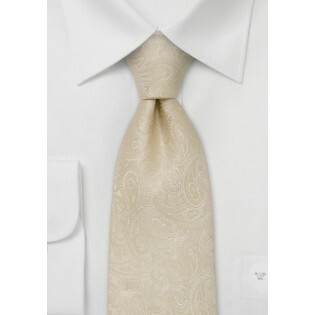 If the solid cream colored tie is to plain and simple, then this elegant paisley tie will be a perfect alternative. The fine paisley and scroll pattern is woven into the fabric. It adds a nice elegant decoration for a festive colored necktie. 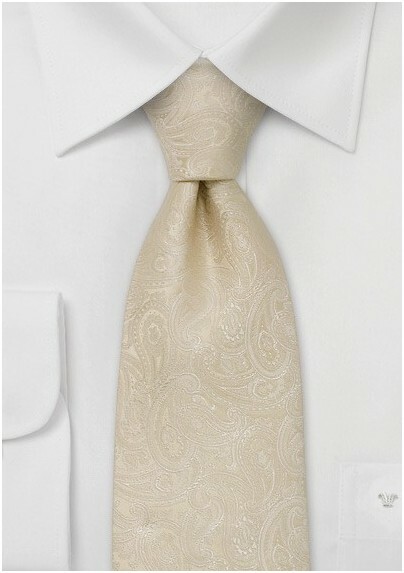 This cream paisley tie is one of our best selling ties chosen to outfit wedding parties. We like this tie most when combined with classic black suit. Handmade from 100% silk by Parsley Luxury Neckwear.